How to get him to eat rice? Like I mentioned in one of my posts before, most of the stuff my son like to eat are gluten rich. 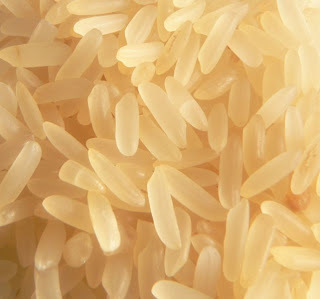 We had tried to reintroduce rice into his diet without much success. So we finally came up with a strategy. We mixed the rice and gravy and covered it on top with either spaghetti or egg noddles (which he likes) and feed it to him. We let him play his favourite games on the pc and then lowered the lights. While he's engrossed with the game, we slip the food in. He started eating rice again this way, just this week after more than a year.